Jamie and I have decided to get some new helmets. New Enough was running a great deal on some HJC helmets so we got two matching ones to go with the Trophy. Our other helmets are getting beat up some. They did do well during the accident but it is time to get new ones. 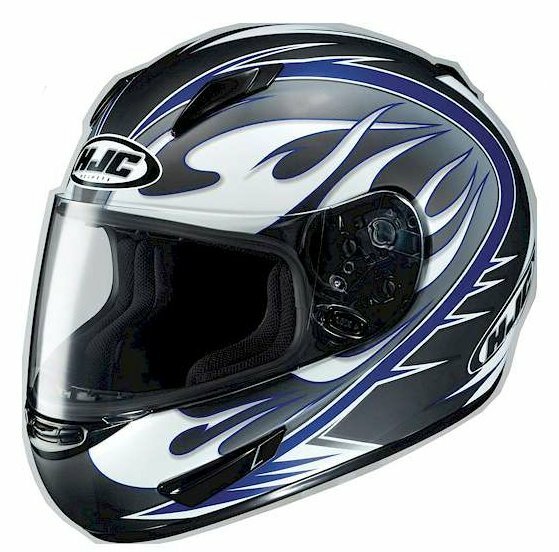 We have a couple of arai’s but they are not as comfortable as the HJC and the HJC’s have a great liner for inserting speakers into them. We use a chatter box that hooks up to our XM radio and our intercom so that is a must. Here is a picture of the new lids. Previous postLunch at the Shed! Next postA Day at the Races.